A while back, I wrote a blog called Be the Gatekeepers. This time I wanted to share where gatekeepers (readers) can start looking of indie books or self published books among the masses. It’s overwhelming, all the authors out their with talent and the skills to create books that are up to par with traditionally published novels. Teams of creative minds working together to help each other. If you think I’m wrong, you haven’t even looked or tried to search. You’ve just developed a biased idea and should read the previous blog I wrote Be the Gatekeepers. 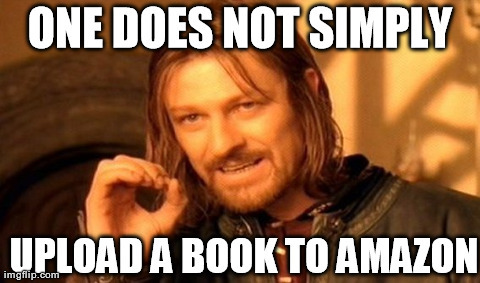 Don’t get me wrong there are plenty of sub par books, but those are easy to spot. A funny meme, but sadly people do this. People, not authors who have invested in their work. These books are easy to weed out. Still not convinced. Here are a few tips. Covers are usually amateur with a few exceptions. If a person didn’t invest in their cover they most likely didn’t invest in their copy. They didn’t have a book tour or reviews by bloggers during their book launch. Again lack of this is a red flag that someone hasn’t invested in their work or isn’t taking their career seriously. Although don’t judge just one this. Look from some type of advertising even small stuff. It’s not indie authors that cause the problems. It’s when people publish work without investing in themselves. So if the book doesn’t look like it’s been invested in, skip it and keep searching for one that does. Now for the fun part. Where can you find indie books that have been invested in? An indie book that could possibly sit right beside your favorite book in the book store if said book were discovered. A book you’ve never heard of, but you would love. A book that makes you feel and takes you on a ride. One you’re so happy you searched a bit to find it a gem just for you. How to find indie books that could become your new favorite novel! Twitter: Indie authors used twitter and they engage with their readers. Their books haven’t been discovered by the masses so you can talk to your favorite author pretty easy. They have more time to engage with their fans. Tips for finding indie books on twitter that will make you realize there are more books in this world waiting to be found than you ever dreamed. #indiebooksbeseen – Search the hashtag and follow the movement. These authors have joined together to help each other. They’ve all invested in their work. you’re going to have to do some digging because the group covers all genres. Try #ya or #na or #horror or whatever you like to weed out stories you many not read. #bookboost – Retweets indie authors and remember anyone can use it so you may have to weed out authors who haven’t invested in their work. #indiepub is another one. If you search #indie and #books you will find lots of accounts supporting indie authors. This maybe harder because you could have to weed through too many books. Try to add tags in the genre you want. #amwriting – Lots of published authors use this hashtag to talk about books they are working on. Book life is a division of Publishers Weekly. Many indie authors have paid to be part of this program and even featured in publisher’s weekly and at book fairs. The sad part is it’s still hard for them to get noticed or picked up. You can find THE LAST ORDER on Booklife. Are the reviews good or bad? It doesn’t matter, for the most part. I’ve read books I loved that people hated. But, I guess if it has all bad reviews that would be a red flag. Not even best-selling authors escape bad reviews or trolls. Just watch for red flags and read a sample. Most books have at least a chapter up for free or for preview. Check out the book and see how new is it and go from there by reviews. Reviews are very hard to get. If I had reviews from 10 percent of people who’ve bought a copy of THE LAST ORDER I would be well over my review goals for the first year. Few review doesn’t always mean bad. Indie books struggle to be seen and getting reviews is part of the struggle. Some Bloggers are seeking out indie books to help you the reader find more books that you will love. Check this blogger. YA Author Rendezvous-A great place for Young Adult reads. This group has joined together to invest in their own work and each others. This should get you started, but before I go I want to leave you with some of my favorite indie reads or missed gems this past year and TBR reads I haven’t gotten to. 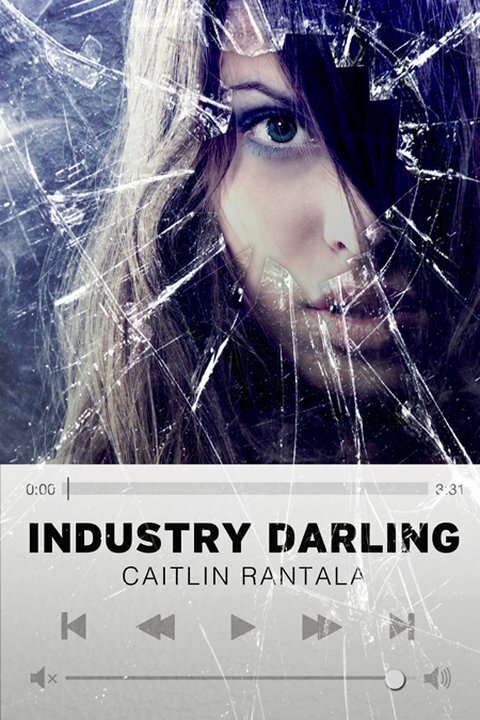 Check out more about his Industry Darling. This one has flown under the radar and it seems people ether love it or hate it. It’s worth the wild ride. It’s an entreating emotional read. Not exactly an indie book, but smaller presses can be considered indie. 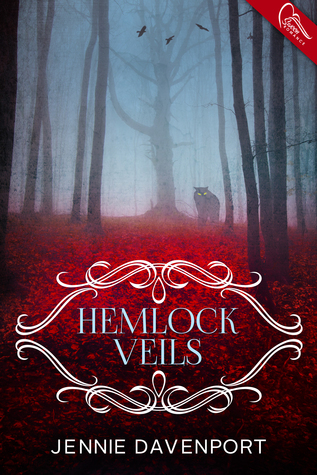 I would have to say Hemlock Veils hasn’t gotten the recognition it desires. Check out this romantic novel and decide for your self. 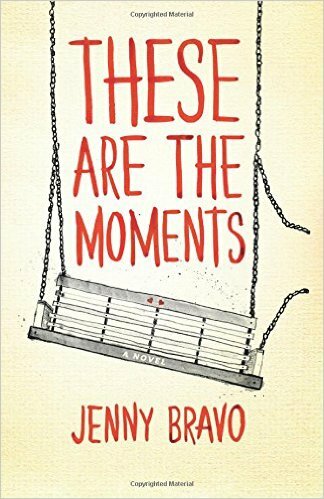 These are the Moments is on my TBR list. Add it to yours. Honestly, I planned on listing many more books, but it takes me longer than most to do a blog post because of my dyslexia. Follow me on twitter and feel free to ask for recommendations by tweeting. That would be another great why to find more books that may become your next favorite. Doors open and close. Sometimes we open and close them and sometimes others do the opening and closing. Where are you at the beginning of this new year? Are you waiting on a door to open? Are you standing at a door unsure of what do to do? Or have too many doors been slammed in your face and you’ve been questioning if a door will ever open? There are doors of wisdom all around you. Places to learn more about your craft. People willing to mentor, and encourage you. Many creative people give up too easily. Don’t be one of them. It’s 2016 a Year of Open Doors, if you want them. Not all doors are helpful. Many forget this important key. Before opening new doors, close doors that are slowing you down you. Keep fighting for what you love. Don’t let you passion or joy be stolen because others haven’t taken notice yet. Your efforts will not go unseen. The creative minds that preserver leave marks in this world. Show your best self to the world. There are people on the other side of doors, looking to vet you. They want to let you though. This year open your own doors and people will notice. What door are you opening today? What door are you closing?